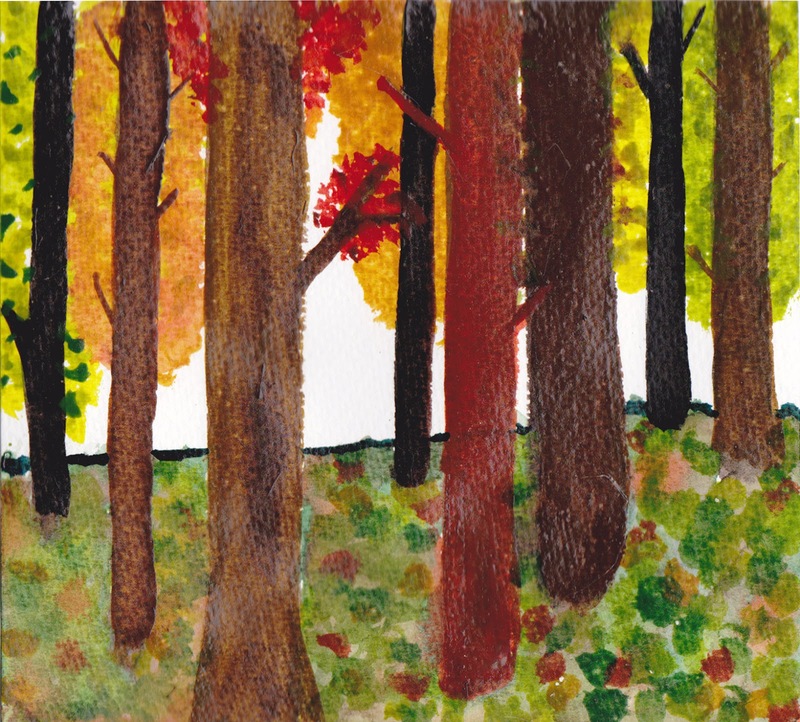 N.J.'s "50 Shades of Autumn"- a worthy recipient of the $50.00 gift certificate donated by Tutored by Nature Inc. for the water-colour entries. 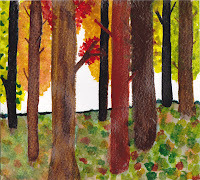 Lots of competition N.J. including another water-colour you submitted. Check out some of the others in the slide show. See! Sorry that you didn't get to feed those chick-a-dees! N.J.'s log book was full of wonderous thoughts, questions and images. Z.A. 's "Almost Maple Leaf" was one of three amazing photos submitted - all three were under consideration. Part of Z.A. 's story included that she thought that this looked a bit like the Maple Leaf and "This plant was eye-catching because of it's vibrant colours, and the way the colours blended in with each other made it look captivating." Congrats on receiving your $50.00 gift certificate Z. There were so many great photos - a credit to the gr.9's at S.L.S.S. Last but not least - U.M. receives the pencil sketch award (also a $50.00 gift certificate) - a"Logbook Pencil Sketch" entry. 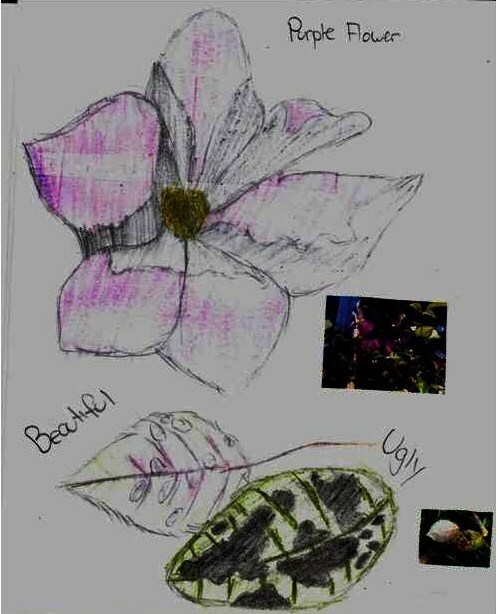 Titles within are "Purple Flower", "Beautiful" and "Ugly". 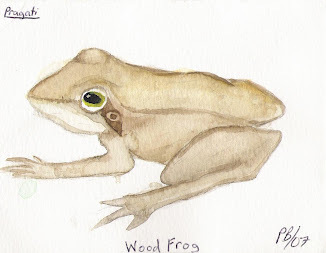 He submitted 3 pencil sketches that were all worthy - straight out of the logbook. Interesting comparison between your backyard environment and Park 403, U. Is the "Purple Flower" in this sketch, native or non-native? Check out a couple of the other pencil sketches in the slide show?